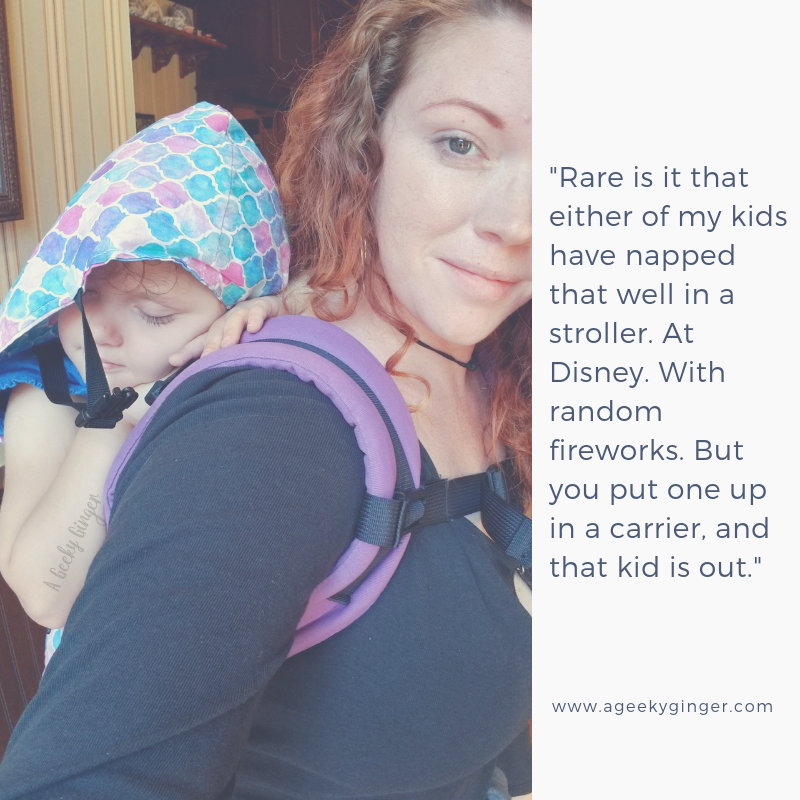 For me, babywearing and Disney is a given. I don't even think about it. When we get out of the car, I grab a carrier and we head up to the park. Back when I first started taking Miss Quirky (10 yr old) to the parks, she was a baby and I didn't bring any carrier. I brought my stroller and that was it. The stroller worked fine when she actually wanted to be in it, but that never lasted long. 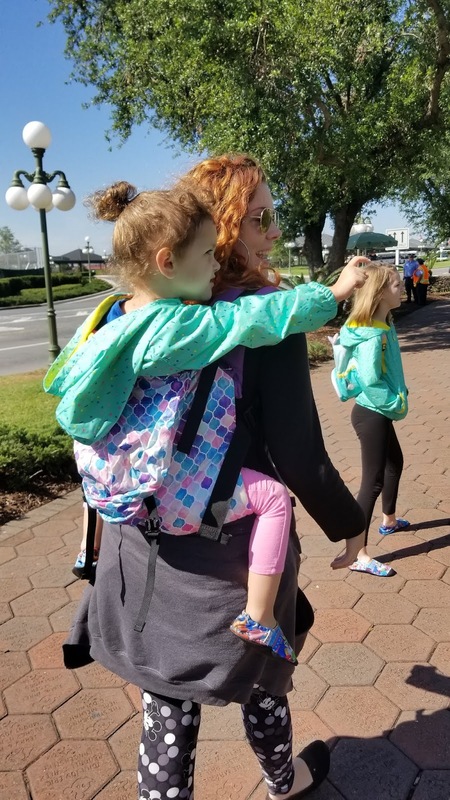 Unfortunately, kids don't typically want to be in a stroller while everyone else gets to explore Disney... go figure, right? You know it, I know it, and the people around you hearing the child calm down in the carrier will know it. It's not even just that it stops the meltdowns, but it prevents them. Over-stimulation is a thing, and unless you're keeping the child in a stroller with the shade pulled all the way down, you're not going to stop them from getting over-stimulated in there. Not entirely. The closeness that babywearing gives, can help center your child and keep them calm, so they can keep up with all the Disney madness. Speaking of naps. Have you tried letting the little one sleep in a stroller at Disney? Like, a good nap? The kind of nap that will stop the restlessness and reset their brains, so you can stop wanting to cry and go home? Rare is it that either of my kids have napped that well in a stroller. At Disney. With random fireworks. But you put one up in a carrier, and that kid is out. Throw some noise-reducing headphones on, and we're in business! That babe is sleeping like we are not surrounded by aggressive, sweaty, sickly, annoying humans! I'm not saying strollers aren't great. I'm really not. We love to bring ours for holding all of our stuff, my Starbucks drinks, and carrying the toddler around when I'm done being the dairy cow for a bit. But babywearing is so essential when you are in a setting like this. Over-stimulation, threat of child running off, germs, needed naps, etc..etc.... 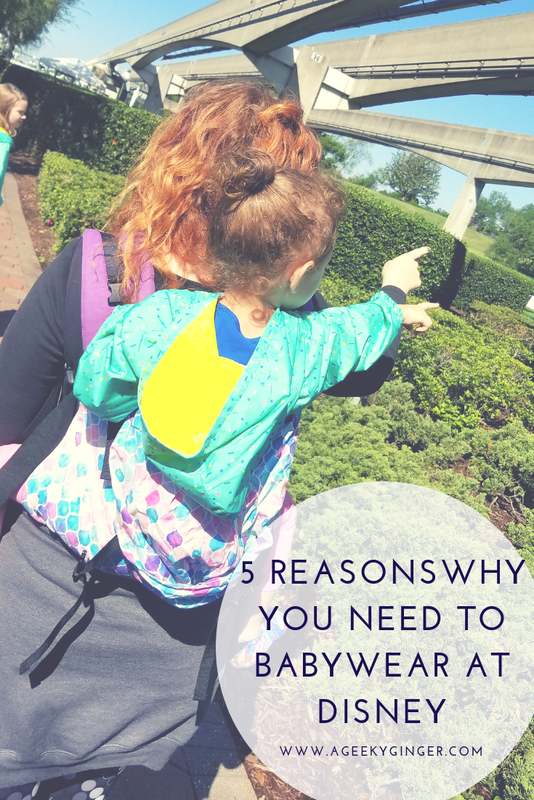 There are too many reasons to babywear, and not enough to not babywear at Disney. 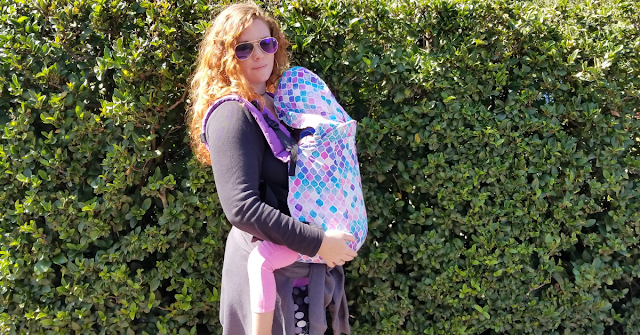 If you are looking into a great carrier for using at Disney, check out Kinderpack. They are my go-to for Disney trips, due to their ease of use, comfortability, koolnit options, and compact folding! Do you babywear at Disney? If not, what's holding you back? Share in the comments! I've never thought about all of these things as good reason's to wear baby carriers. But, when I think about, the baby carrier is a great way to protect your baby from the elements. I wish I would have know this when my son was smaller. Thank you! This makes so much sense. I haven't been to Disney in forever. But I remember the traffic jam of strollers. Babywearing seems great for so many reasons. And it also probably helps you be more mobile which is better for the whole family. Babywearing really promotes bottle feeding..It save times and even the baby enjoyed it! The Moby Wrap Evolution looks so cool...Thanks for the share!